Gabriel has been with Zuna since 1999. 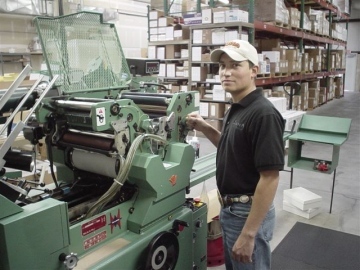 He started part-time in bindery and has been trained to run all of our presses over the years. He currently runs our high-speed envelope press. Gabriel is our resident cowboy. Bullriding seems to be his passion (or insanity). But he still makes it in every Monday injured or not!